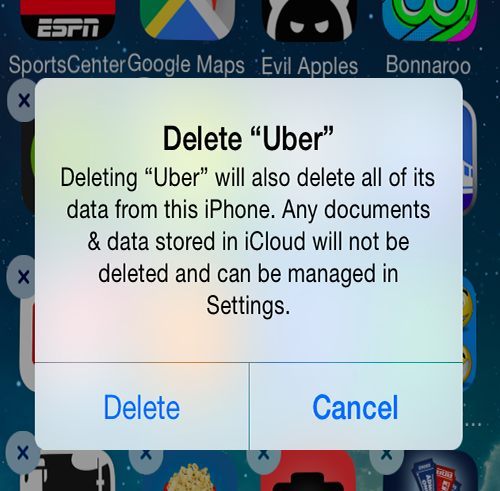 Watching Uber's CEO panic, backtrack, apologize, and ultimately cave to some of #DeleteUber's demands has been a totally entertaining experience for boycotters everywhere. The mass deletion of Uber accounts was not the most impactful element of the boycott; contrary to popular belief, the success of a boycott doesn't depend purely on a direct impact on profits. Boycotts are effective because they kick companies where it hurts: their brand image. Boycotts - even small ones - are great at slinging mud (or, in PETA's case, fake blood) at a shiny brand image to reveal the hypocrisy beneath it. Countries have brands too. The US's image as a promoter of freedom, democracy, and human rights, for example, helps to mask its long history of undermining democracy and crushing dissent around the world. Like fellow settler-colonial states Australia and the US, Israel positions itself as an upholder of "European values" and "Western" culture. A common line of propaganda touts Israel as "the only democracy in the Middle East". One strategy is "pink-washing" - the Israeli government intentionally promotes an image of LGBTQ tolerance (despite a much more mixed reality), in order to present itself as a beacon of progressivism in an "uncivilized" region, and distract from its egregious human rights abuses against Palestinians. Image is super important for Israel, because of its legitimacy problem. Israel is heavily dependent on support from the US, both at the UN and via military aid, to keep the international community at bay as it continues to build settlements on Palestinian land, hold a civilian population captive in Gaza, and uphold blatantly discriminatory laws - like encouraging Jewish migration to Israel, while barring the Palestinian diaspora from returning to their homeland. That's why Israel expends a ton of resources attempting to crush the BDS campaign, even though BDS only cuts an estimated 1-2% from its annual GDP - a striking achievement for BDS, but not enough to bring down a nation state. "I was not aware...that my itinerary was being constructed by the Israeli government for the purposes of making me, in the words of a government official, 'an ambassador of good will'. I will not be used in such a manner." At the height of the #DeleteUber campaign, people pointed out that Lyft also broke the taxi-workers' strike - and both Lyft and Uber represent a "share the scraps" economy known for labor exploitation and disregard for local laws. Why limit the boycott to Uber? And a common response to BDS is, why single out Israel, when so many other states are guilty of equal or worse crimes? The key to any successful boycott is targeted pressure. Lyft, and the US government, are deserving of boycotts, and the reality is that most transactions contribute to injustice in some way. But boycotts work because they don't try to address every injustice at once - instead, we channel all of our organizing resources into intense focus on one bad actor for maximum impact. 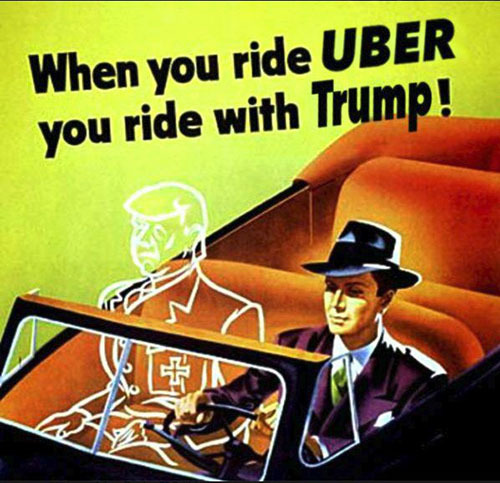 Uber became a good candidate for boycott because it demonstrated clear knowledge of the taxi workers’ strike and the company’s willingness to scab by tweeting about the surge lift, and the position of Uber’s CEO on Trump’s economic advisory council presented a clearer, more quickly realizable demand (for his resignation from the council) than the longer work of tackling labor exploitation in the ride-sharing industry. 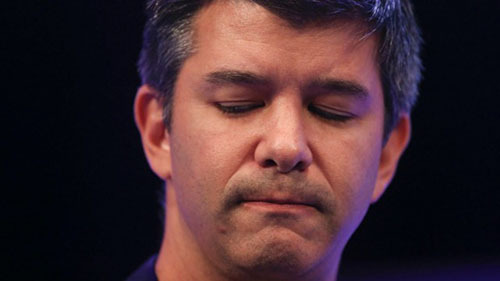 After #DeleteUber's success, the campaigns urging executives from Disney and Pepsi to resign from the advisory council are gaining traction. It's hard to imagine such momentum behind these new efforts without the prior Uber victory, achieved with focused pressure. #DeleteUber stemmed from the taxi workers' strike, which started as a solidarity action during the JFK airport protest. We need this sort of mass resistance - and mass solidarity - to rob unjust systems of the large-scale cooperation they require to function. Boycotts are just one piece of the resistance.